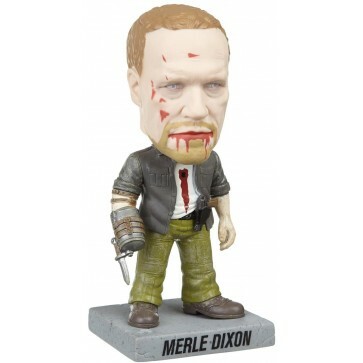 Now a collectible bobble head, Michael Rooker's' Zombie Merle Dixon from AMC's The Walking Dead, measures 7-Inch tall! Add to your collection of The Walking Dead memorabilia. Show off your love for everything undead with this Bobble Head!